Arriving at a moment of unprecedented worldwide flux, this timely, vital and dramatic new art work considered one of modern life’s great questions – what if women ruled the world? At the end of his remarkable film Dr Strangelove, Stanley Kubrick foresaw a post-apocalyptic future in which dominant male leaders would repopulate the Earth, with ten women allocated to every man. 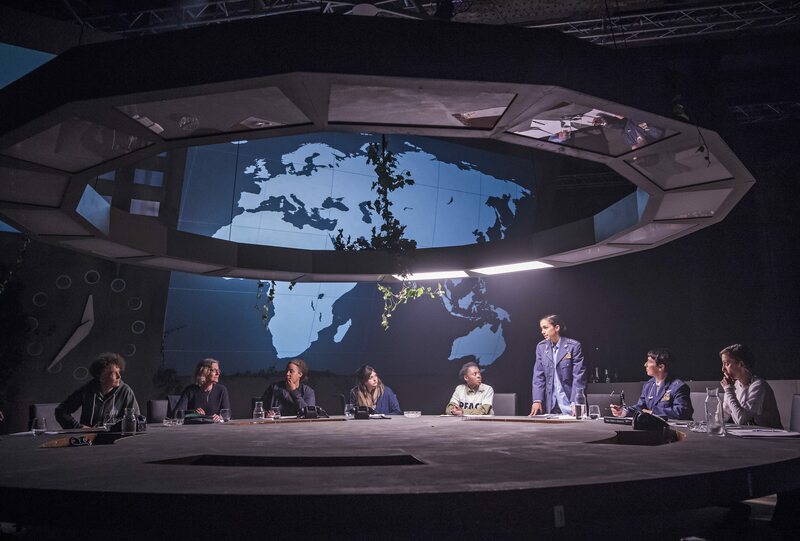 Yael Bartana’s groundbreaking film and performance project, created with a team including performance director Vicky Featherstone and writer Abi Morgan, presented the opposite scenario, placing women in charge of a world in desperate need of a new vision. In a war room, a group of 11 women were confronted by some of the urgent crises of our time. Each night, a professional cast were joined on stage by a different group of female experts: scientists, politicians, activists and thinkers of global reputation. Together they spent the evening attempting to solve the global emergency as the clock ticked.